Is your warehouse business growing? Do you need a more efficient and cost effective solution for shipping products and good? 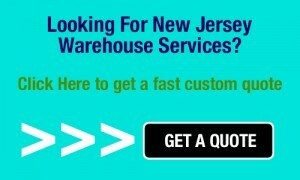 Then a rail siding warehouse may be the answer to your company’s problem. While business growth isn’t a bad thing, it may require a second look at how your company does business and how it fulfills orders. More work means that the supply chain should be reevaluated to handle the incoming workload. In most cases, rail sidings are used for marshaling, stabling, storing, loading, and unloading vehicles. If you’re using a warehouse with rail sidings, for instance, you can use them to stage rolling stock that needs to be loaded or unloaded. Having a warehouse with rail siding presents many benefits and allows you to develop a more flexible transportation process for your supply chain. Most of your public warehousing decisions will probably be made based on the category and quantity of products you plan to store. Rail siding is just one more tool you can now use to make the best decision for your particular product’s needs. The way in which a business transports their goods is vital to their effective operations. Railways are a fantastic option because they provide high-volume capacity at a low cost. When transportation can be brought directly to the warehouse, it cuts out excessive and additional costs usually acquired through the utilization of trucks to transport goods. This can be particularly enticing for businesses that are undergoing a growth, whether it be in quantity of goods or acquiring new contracts from companies looking to distribute their products. Finding ways to conserve funds is always helpful, particularly in times of great expansion, which could cost more regarding finding new locations for warehouses or acquiring more modes of transportation. 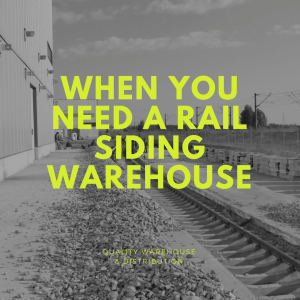 When thinking about whether or not your company could benefit from a rail siding warehouse, the flexibility it possibly will provide is something to mull over. Transitioning to a 3PL (third-party logistics) service is one way to expedite services and grow your business. These services could involve anything to do with the management of how resources are transported to the areas where the products are needed. A 3PL warehouse with rail siding allows you the benefits of rail transportation without a rail siding at your warehouse or at the door of your customer. Flexibility is achieved when you consider that the third-party service provider will adjust labor resources to accommodate your volumes and possesses the experience to handle your goods efficiently and with care. If you plan on utilizing a public warehouse, speak to a representative from the warehouse, inquire about the capacity it can handle, and ask if that warehouse offers rail siding as an option. If a particular warehouse is going to make it difficult for you to expand, then they may not be the best fit for your business’s needs. You want to be sure that you are getting the system’s capabilities that your business requires to support your product and inventory needs. The best time to look into rail siding is when you are choosing a new location for your business. Physical location is important because you want to ensure that your company is able to serve the geographical locations of your customer. Furthermore, it’s vital for prompt deliveries. Another topic to take into account is the new location’s proximity to carrier facilities. Research warehouses that offer an all-encompassing solution for both warehousing and transportation to get the most bang for your buck. A warehouse with rail siding will open up doors in terms of the products you can ship and the business you can begin to bring in.